LARGE, EASY-TO-READ DISPLAY: The 89*32mm LCD display is backlit. Sleek, modern design and white color complement your decor. DURABLE AND COMPACT: 6mm tempered glass is scratch and shatter-resistant. The 300*300*28mm scale fits anywhere in your bathroom or home. ACCURATE WITHIN 0.2 LBS: Built with advanced German technology. Four weighing sensors provide precise readings up to 400 pounds. 1 . Why choose us? we are the manufacturer and our brand is "weiheng", has over 10 years experience. you could get the most value price and excellent service from us. 2 . 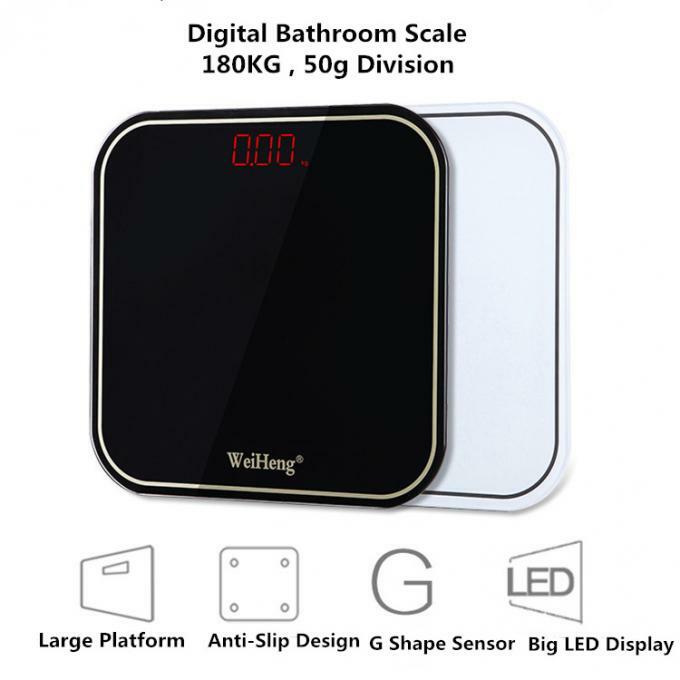 Could you print our logo on the weighing scale ? 3 . When can you delivery the goods. usually if the scale has stocks, we could dispatch it out soon, if no, we would arrange to produce it fastly. 4 . Could you off the sample for test? 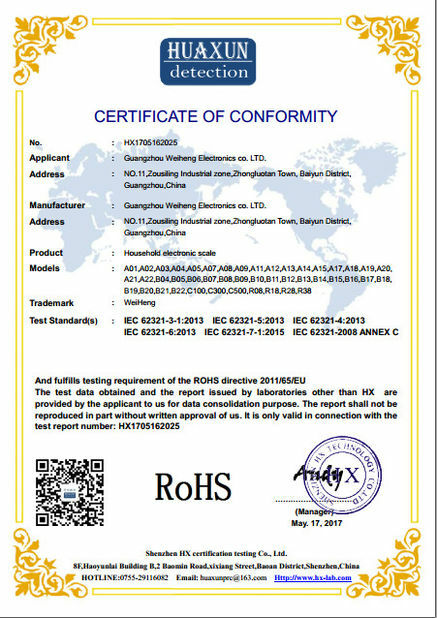 yes, we could offer the sample for test, you just need to cost little shipping freight and the charge for the sample. 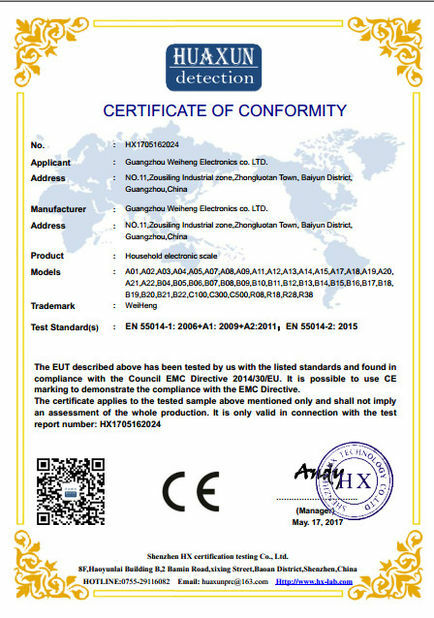 CE or Rohs,100% quality check.The battery have MSDS. please send your inquiry details in the below for free sample, click" send" now!